The hero of the Barcelona books, Pascual, has retired from his highly risky business of being a courier for the Basque separatists in Spain, and all the assorted rebel groups with whom they associate, such as the Palestinians. The mixing of the groups particularly interested me since I had just learned about the close connections among freedom fighters around the world when I read Mother Tongue. In that book, author Helena Drysdale travels in the Basque country of northern Spain, Bilbao and Barcelona. Pascual ratted out some of the baddies he used to work with in exchange for getting to live a somewhat peaceful life in Barcelona, his native city. 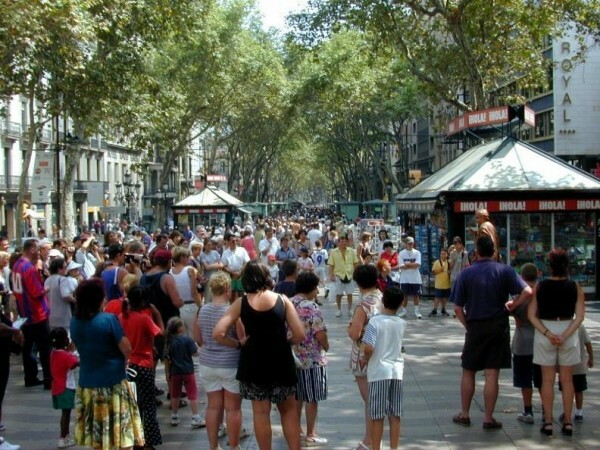 He loves nothing more than heading for the Ramblas, or ducking into a small bar in the city. He works at translating and teaching English, just one of the many languages in which he is fluent. Here Pascual eerily echoes the bio of Martell, of whom his web says, “He has resided in Spain and France and made extended journeys in Latin America, Europe and the Near East. He studied philosophy and languages and has worked as a translator and a teacher.” However Martell originally hails from the United States, and much as I am tempted to slip into the paranoia induced by these books, he probably is NOT Pascual. Pascual’s career has bounced him around the world, landing him wherever the freedom fighters needed to transact business. So far, he had avoided killing, but he did something much more dangerous, he fell in love. And he trusted the woman. Trusting anyone is dicey business in this novel, which keeps the reader on her toes. Although we know as much as Pascual knows, we have no idea which of his assumptions are correct and therefore no idea how things are going to turn out. His routine in Barcelona comes to an abrupt end when the old girlfriend, Katixa shows up. She has a suitcase full of money and is on the lam, saying she killed a Basque leader and wants to spend her life with Pascual somewhere safe. 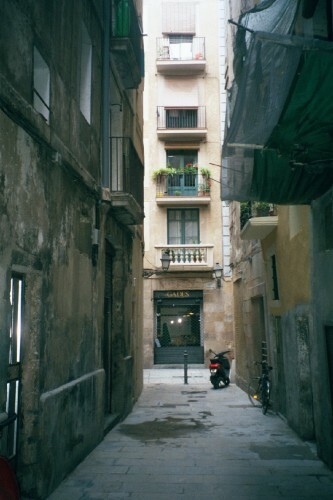 Their escape from Barcelona becomes the tension-filled focus of the book. But I won’t tell you enough to spoil the cat and mouse game you can play along with Pascual and Katixa as they dodge through the streets of Barcelona and Bilbao, haunting the piers in search of a boat out, and travel through the Northern Spain countryside. Pascual is appalled by the way that fishing villages have been overwhelmed by condos, and that of course made me think of the beginning of the transition from fishing village to tourist trap captured by Norman Lewis in Voices of the Old Sea. Lying, Crying, Dying is a very satisfactory action and chase novel. Pascual an engaging character you’ll want to read more about, and the city a character in the novel that you’ll want to get to know. My only complaint is that the book is stuffed with acronyms and foreign terms for the various political groups and some rather obscure references to recent Basque/Spanish conflict that might not be familiar to the everyday reader. I would have like to see the author clarify those points in some way–without, of course, slowing down the breakneck pace. If you are heading for northern Spain, you will want to put Lying, Crying, Dying into your travel library, but you might also want to add the other two in the series to find out if Pascual ever gets to relax and enjoy his beloved Barcelona. The other books are The Republic of Night, and Gitana, and remember they are all available for Kindle Touch or other e-reader. 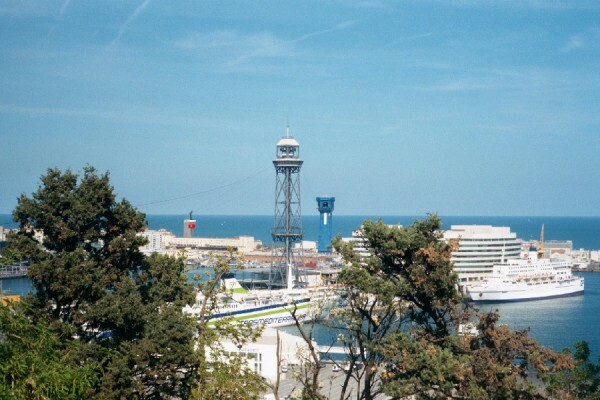 Have you been to Barcelona and Northern coast of Spain? What did we miss by staying in the southern and central parts of Spain? Links here to Amazon make it convenient for you to pick up these books, or a Kindle to read them on. But I need to tell you that although it costs you no more, when you do your Amazon shopping through any links on my site, it benefits A Traveler’s Library. And we are most grateful. The publisher provided the e-book of Lying, Crying, Dying to me at no cost for review. However, my opinions are always my own and the publishers get no promises. This sounds similar to Jean-Claude Izzo’s “Total Chaos.” Izzo’s dead bodies lie scattered about Marseilles, which he richly paints and clearly loves. Martell has Izzo beat on the title, though. Thanks for another engaging review, Vera. Thanks, Germaine. Don’t know if I’m up for another scattering of dead bodies at the moment, but a book focusing on Marseille is very tempting. Sounds like a good book – it goes on my Spain reading list. I am currently reading, The Time In Between, a book set in WWII era and the characters are based in Madrid and Morocco. I picked it up at Costco hoping it would be a good read and find I can hardly put it down. The author, Maria Duenas, has a PhD. in English philology and is a professor at the University of Mucia in southeastern Spain. She includes a three page bibliography of her research sources. I recommend it. . .and of course, now I want to go to Morocco. That title sounded familiar to me, then I realized that the author did a cover blurb for Sadness of the Samurai which I recently reviewed. Always glad to have your good recommendations. And I hope you’ve done a search in the search box for other books here that will add to your trip (whenever it may be) to Spain. Morocco–that’s been inching to the top of my wannago list for some time now.